Your domain name is your internet address (e.g. SoFreedomains.com) and in order to get one, you need to get in touch with a domain registrar whose duty it is to carry out the registration for you. Every year, you will also be required to pay a renewal fee for the domain. Putting up a website on your domain is another process entirely and web hosting companies are well positioned to handle that, if you know a little bit about web designing. A web hosting company will sell a hosting package for you which is in line with the type of website you are floating. A hosting package generally includes file storage, bandwidth allocation, email allocation, sub-domains allocation, etc. The package you purchase will determine the sub-domains that will be allocated to you. For example, if you choose a package that comes with 5 sub-domains, it means you can create 6 different websites with a single domain. However, there are advantages and disadvantages of making use of a domain for more than one website. 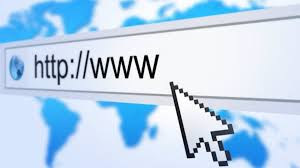 One of the advantages is that it is cheaper because you will only pay for the registration of one domain name and purchase one hosting package including their annual renewals. In addition, it will be easier for you to manage the websites (domains and sub-domains) because you are making use of one platform for their management. Also, a search engine optimization can be collectively carried out for them since it is only one domain you are floating. On the other hand, uniqueness for each site cannot be achieved because they are all tied to one top level domain (tld). There is limitation to individual growth because what happens to one will definitely affect the other. For example, if one of the sites (the main domain or any of the sub-domains) is receiving a high traffic, it may lead to reduction of bandwidth for others since the same bandwidth is allocated to all of them. Furthermore, it won’t be possible to get site metrics for each of the websites because they are tied to one. For example, an Alexa ranking can only be obtained for the main domain but it is not possible for the sub-domains. This will not allow you to measure the traffic of each of them, you will only make use of one ranking for all of them.